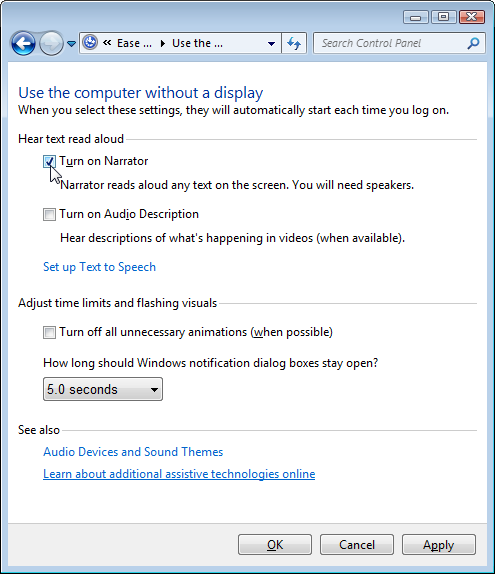 Q: I accidentally turned on Windows’ “text-to-speech” software, and I can’t find out how to turn off that annoying voice. 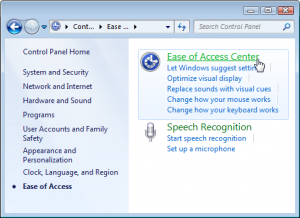 A: Windows Narrator, a text-to-voice translation program, gives the vision-impaired a chance at using a PC. Narrator dutifully reads Windows’ menus and text, but in an irritating, robotic voice. 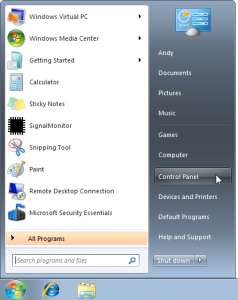 Unfortunately, it’s too easy to turn on accidentally, and Microsoft hid the kill switch: Every time you turn on your PC, Windows Narrator begins reading menus, keystrokes, and other onscreen text. Click the Start menu, and choose Control Panel. Click the Ease of Access category. 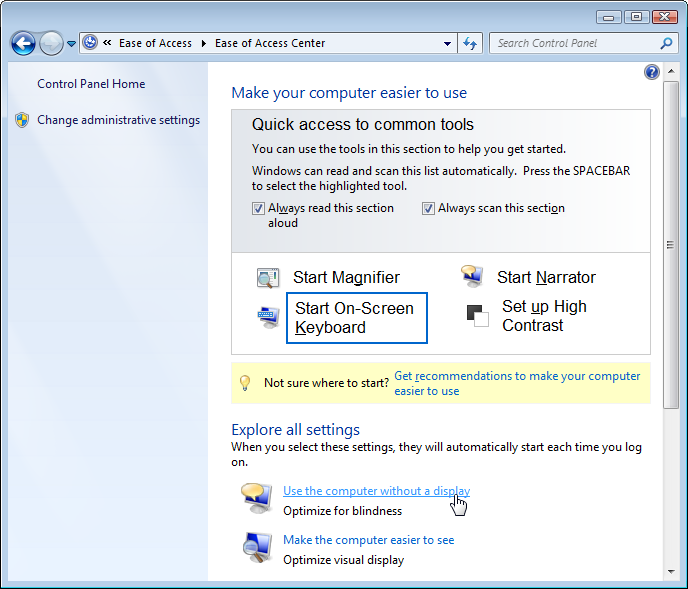 Choose the Ease of Access Center. 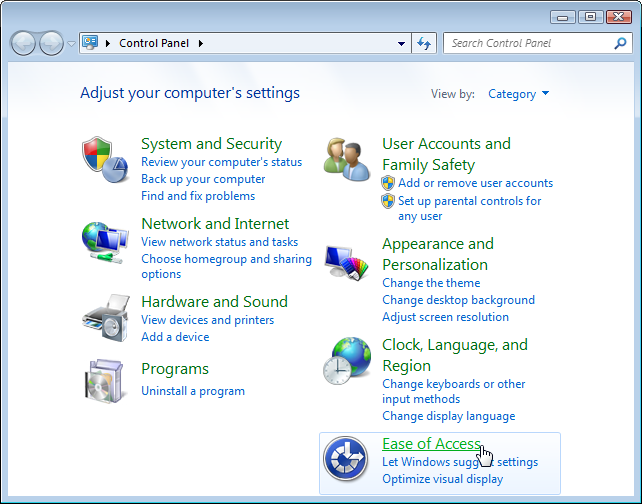 In the Explore All Settings area, click Use the Computer without a Display. 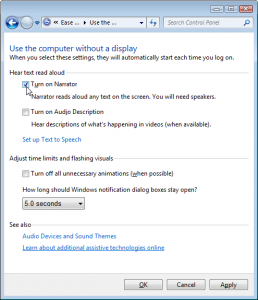 Finally, either restart your PC or close the Narrator’s program icon from your taskbar. The Narrator will no longer return whenever you restart your computer. 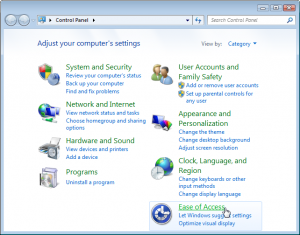 Posted: October 26th, 2009 under Windows 7, Windows 8, Windows Vista, Windows XP. I’m using a Windows 7 laptop that I got yesterday from Kijiji. I logged on for help turning off the Narrator, which I turned on by mistake. I think that it worked. Thanks very much. can you do the same for windows 10? Dee, it should work. 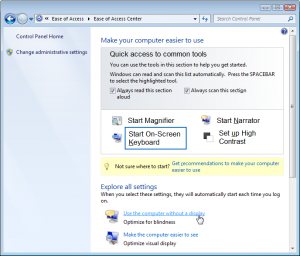 But in Step 1, right-click the Start button and choose Control Panel from the pop-up menu. If it doesn’t work for you, let me know which step gives you trouble. God, that’s annoying…they should make for a simple ‘off’ switch. Thank you!!!!! I’ve been trying to turn it off for weeks! SO annoying when you don’t need it when you start up the computer. Thank you so much. After the reboot the crazy voice stopped. I did everything, but when I got to the checkbox part, narrator wasn’t even checked off.. I’m not sure what to do now. Clive: Yes, Microsoft added that key combination to Windows 10 with the recently released Creator’s Update. (It doesn’t work for Windows 7, however.) 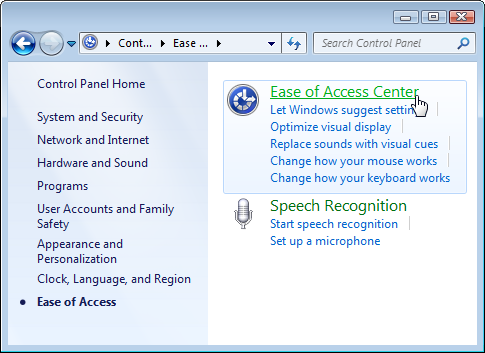 Microsoft added quite a few Windows key shortcuts for Narrator. Thanks so much… I was tired of hearing every word. Mirudh: If Narrator is already turned off, perhaps another program is reading the words. This worked perfectly. Key is to follow all of step 6 and CLOSE OUT the narrator program, then the guy actually shuts up lol! My Turn On Narrator was NEVER checked but Caps Lock and Esc together shut the damn thing off! Thanks for the help silencing The Beast! zOMG SO MUCH THANK YOU! I accidentally set this thing off and could not figure out how to shut it up. THANK YOU for getting tarrator turned off. Shutting it off manually after every reboot was a pain and listening to it was worse! After being frustrated beyond words your solution saved the day. Who knew that it required restarting my laptop in order to turn off the narrator voice. You did! Thank you. Yes but … I get a selection box next to any selection click I make on many pages that is a “read aloud” selection box. It is very easy and hard to avoid clicking on this box. HOW do I get rid of this box OR better yet, how to I just Uninstalll the update fr win10 that some MS idiots “improved” narrator. I just want narrator to lie completely dead unless I re-install it? Plse, driving me to drink. Thanks for any help. I did what you said, but narrator is still turning on, after I disabled it. It started after Windows updated my computer. I don’t know what to do, except buy another computer, ’cause I need to be able to copy & paste & it won’t allow me. 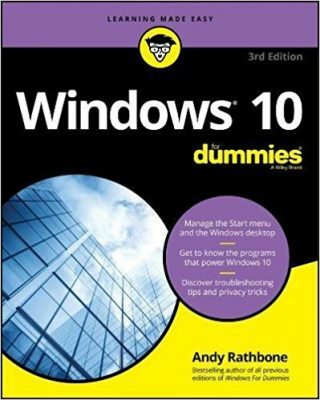 Thanks, Matt; I wrote this almost eight years ago for Windows Vista, but haven’t had a chance to update it. Thanks to Barb! Caps Lock+Esc worked! Finally.